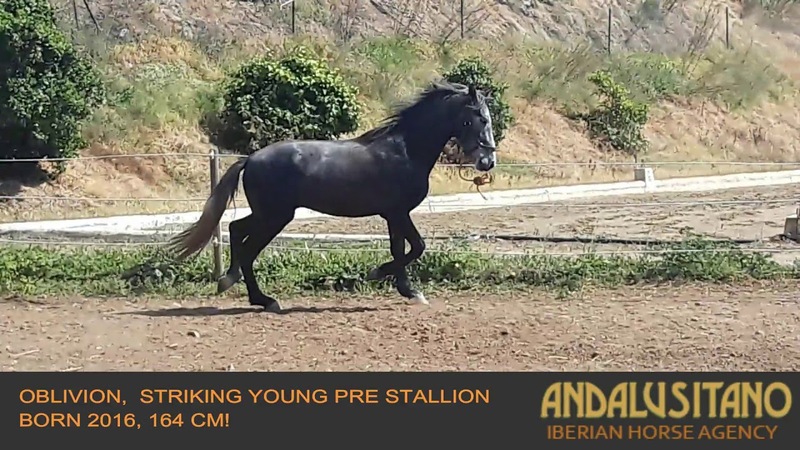 Oblivion, striking young PRE stallion born 2016 164cm! Oblivion is a stunning young PRE stallion with great bloodlines. He is fresh in from the field and is now ready to be backed. He has great movement and already stands at 164cm!